4k00:10Young surfer girl putting on surfboard leash or strap at the beach. 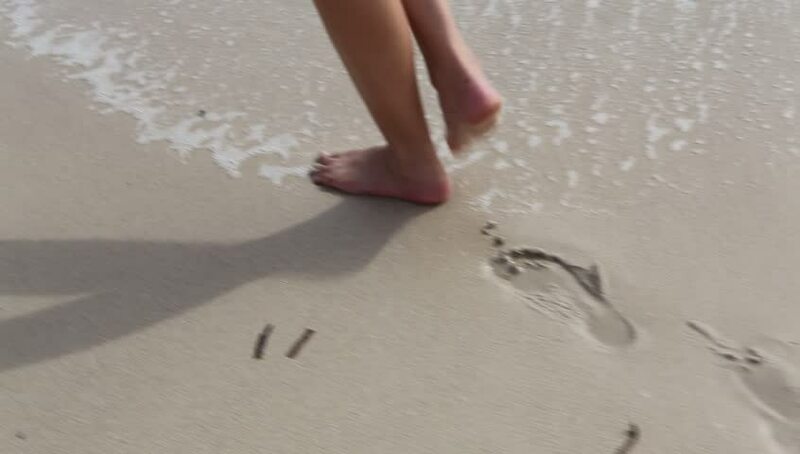 hd00:25Young Woman making Footprints at the Beach, Young woman walking at the beach at sunset leaving footprints in the sand. Waves coming in and washing away the prints. hd00:07Children legs run and spin on the square. Carefree childhood. Cheerful atmosphere.